Jhpiego contributed to more than a doubling of the total health workforce in the public sector—from 106,991 in 2012 to 222,728 in 2018—thereby bringing preventive health and care and treatment to many more Ethiopians. More than 200,000 women delivered their babies with a skilled attendant at Jhpiego-supported health care facilities. An innovative, onsite approach to training health care workers in postpartum family planning was introduced to reduce interruptions at health care facilities; as a result, services at maternity wards are not disrupted by staff absences, and clients receive better care. In Gambella Region, more than 94,000 adolescent and adult males received safe, high-quality voluntary medical male circumcision services, thereby benefiting from this procedure’s protective benefit against HIV. This project, funded by the U.S. Agency for International Development, is contributing to the Government of Ethiopia’s efforts to strengthen the health workforce and thereby improve health outcomes for all Ethiopians. The project’s objectives are to: 1) improve human resources for health (HRH) management at all levels of the health system; 2) increase the availability of midwives, anesthetists, health extension workers and other essential health workers; 3) improve the quality of education and training of health workers; and 4) generate program learning and research evidence on HRH. The project has a national scope and supports the Federal Ministry of Health and all 11 regional health bureaus; Food, Medicine and Healthcare Administration and Control Authority; Federal Ministry of Education; Higher Education Relevance and Quality Assurance Agency; federal and regional technical and vocational education and training agencies; regional occupational competence assessment and certification agencies; more than 50 public universities and health science colleges; and health professional associations. Jhpiego is the prime partner, with Management Sciences for Health, the Ethiopian Midwives Association, Ethiopian Association of Anesthetists, Open University and Project Mercy as sub-partners. In conjunction with the Feed the Future Initiative, the Growth through Nutrition Project is the U.S. Agency for International Development’s five-year, flagship, multi-sector nutrition and water, sanitation and hygiene (WASH) project. Led by Save the Children International, the project aims to improve the nutritional status of women, young children and adolescents in its four operational regions of Ethiopia. The project focuses on the first 1,000 days—from pregnancy through a child’s second birthday—which are recognized as the critical window of opportunity for a child’s growth and development. Jhpiego is contributing to workforce development for effective implementation of nutrition and WASH programs by strengthening nutrition and WASH pre-service education for nutritionists, health, agriculture and water technology cadres at 19 higher education institutions. The project is working with five ministries, namely Agriculture and Natural Resources; Education; Health; Livestock and Fishery; and Water, Irrigation and Electricity. Surgery 2020 is seed funded by the GE Foundation, hosted by Dalberg and implemented by Jhpiego, Assist International, Harvard Program on Global Surgery and Social Change (PGSSC) and the G4 Alliance. Jhpiego is implementing the surgical leadership development component while our partners are supporting surgical innovation, monitoring and evaluation, and policy and advocacy, respectively. Under the transforming surgical care model, Jhpiego is developing and mentoring district-level surgical teams in leadership and contributing to provider-driven improvements in surgical care. Also under the umbrella of Safe Surgery 2020, Jhpiego is providing local data collection and logistics support in Ethiopia for PGSSC. This first-of-its-kind project is initially being implemented in Ethiopia and Tanzania with a plan to expand to Asia. The Bill & Melinda Gates Foundation is supporting follow-up to a study conducted by Jhpiego in Ethiopia with funding from the U.S. Agency for International Development. 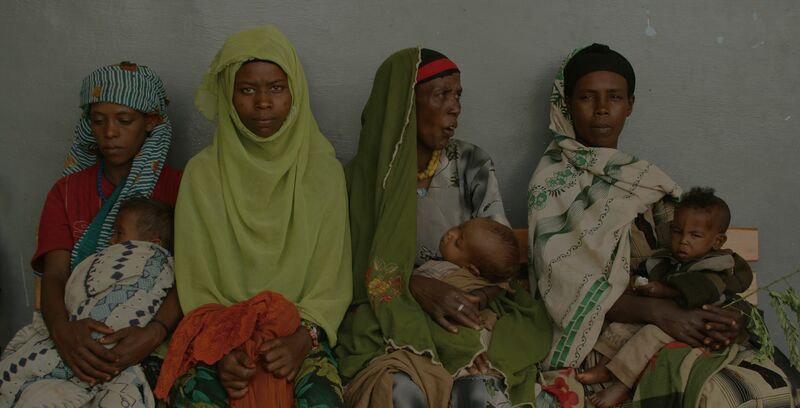 The study, carried out in partnership with the Federal Ministry of Health and Oromia Regional Health Bureau, examined how to use comprehensive postpartum family planning (PPFP) programming to increase PPFP uptake among women in their first year postpartum. This follow-up phase entails collection of endline data, analysis and dissemination of results, which are expected to effect national policy change and contribute to the global evidence on approaches that increase voluntary uptake of PPFP. With support from the Children’s Investment Fund Foundation and ELMA Philanthropies, Jhpiego is implementing a three-year project to transform the way antenatal care is provided in Ethiopia, and ultimately reduce the number of babies born with low birth weight. Under the “ENAT” Project—meaning “mother” or “motherhood” in Amharic—Jhpiego is developing and implementing an integrated and improved model of group antenatal care that includes screening and management of maternal infections together with essential nutrient supplements such as iron folic acid and calcium. This investment has a unique synergy with a Harvard University study (called the ENAT Study), which is focused on nutrition and maternal infection. The ENAT Study, which is funded by the Bill & Melinda Gates Foundation, is embedded in the health care facilities where the ENAT Project is being implemented. With funding from Gavi, the Vaccine Alliance, and in conjunction with the Federal Ministry of Health and the government of Ethiopia, Jhpiego is collaborating with a consortium of partners to roll out the HPV vaccine and introduce the second dose of measles vaccine (MCV2) nationwide. The goal of this project is to increase the capacity of health care workers in target regions to provide guideline-directed vaccinations for HPV and measles to children and adolescents. Jhpiego is supporting the government of Ethiopia to implement the vaccination program by developing a training package, including an educational promotional video, for health care providers on HPV and MCV2 vaccination.